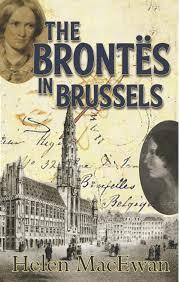 The Brussels Brontë Group was formed in 2006 by Brontë Society members in Belgium and the Netherlands. The idea was to bring together people interested in the Brontës, in particular in Charlotte and Emily’s time at the Pensionnat Heger in Brussels (1842-1843), which had a powerful influence on Charlotte and inspired her novels Villette and The Professor. Our members are of many different nationalities and we welcome anyone who is interested in the works and lives of the Brontës. We organise talks, guided walks and other events through the year in Brussels and run a nineteenth-century literature reading group. Our weekend of events in April each year celebrates Charlotte Brontë’s birthday (21 April). For information on our events and on the Brontës’ time in Brussels visit our website The Brussels Brontë Group or contact brusselsbrontegroup@gmail.com.